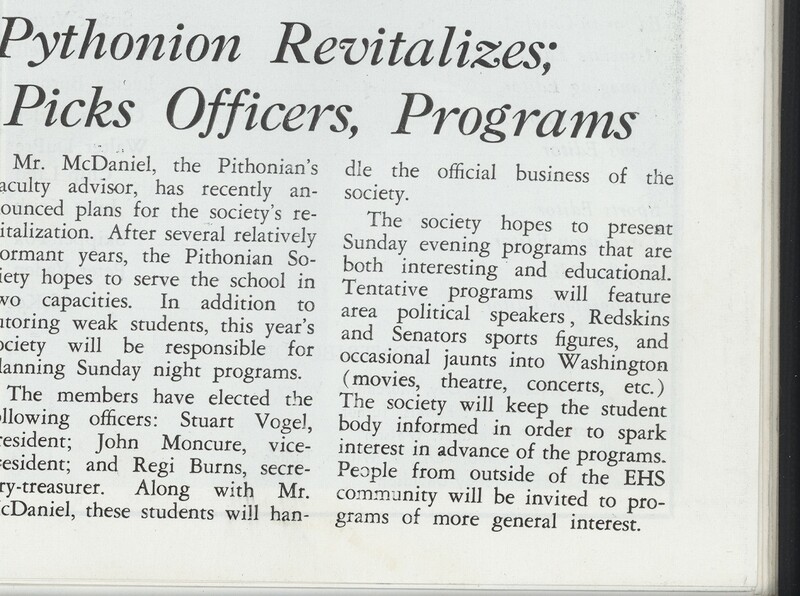 This document addresses the revival of an academic club known as the Pythonian Society. The role of this society was to aid weaker students at Episcopal as well as create educational Sunday evening programs. 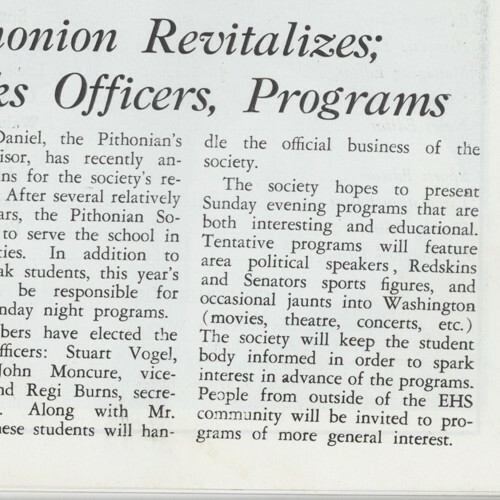 “Pythonian Revitalizes; Picks Officers, Programs,” EHS History Project, accessed April 22, 2019, http://ehshistoryproject.org/items/show/79.